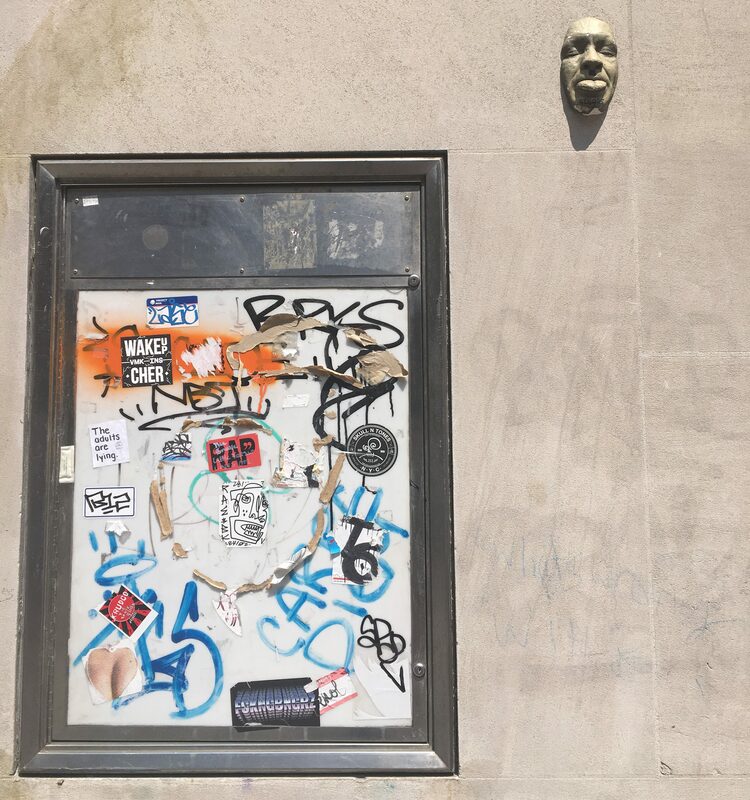 You have to be observant, but if you bother to look up from your phone, or pay special attention to your surroundings, you can spot relief sculptures of the face of French street artist Gregos adorning the facades of buildings and other random objects at intervals all along 14th Street (and other locations in the east village) in Manhattan. 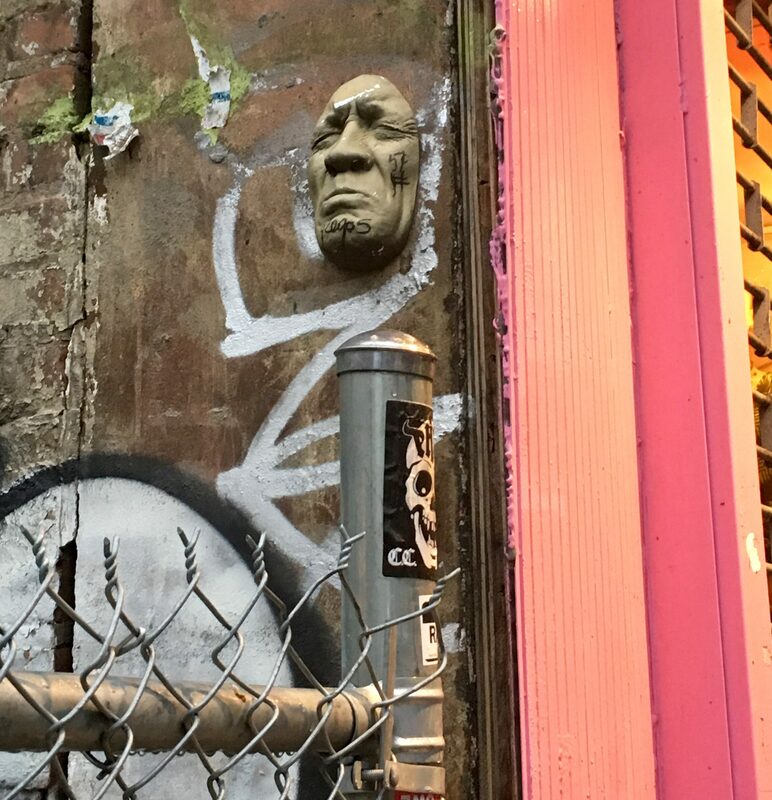 You may recall reading about Gregos and his Pink Faces of Paris in this post from way back in November of 2010. 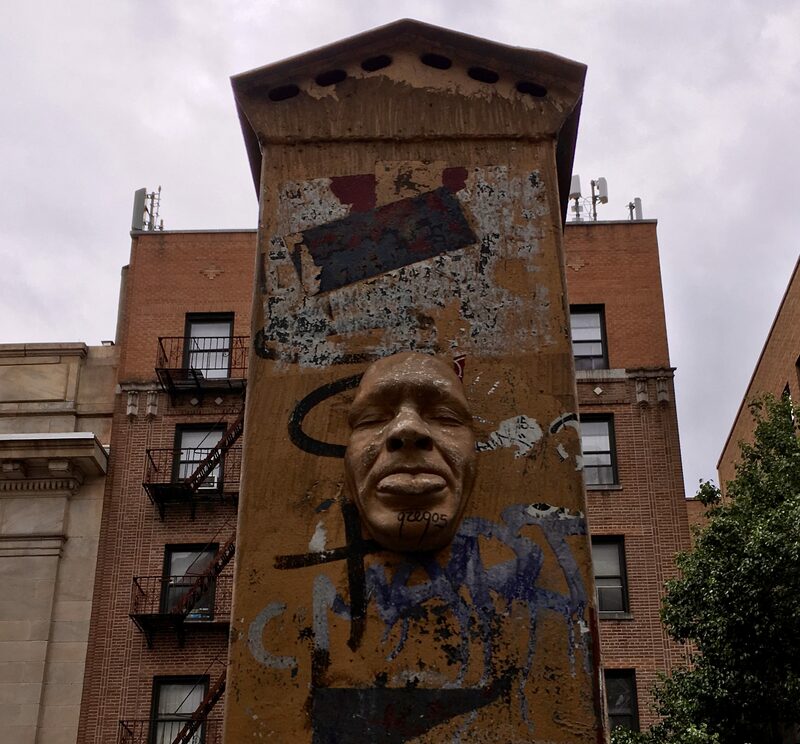 This piece is on a derelict Fire Box on the north side of 14th just west of 8th Avenue. North Side of 14th Street just West of 6th Avenue. 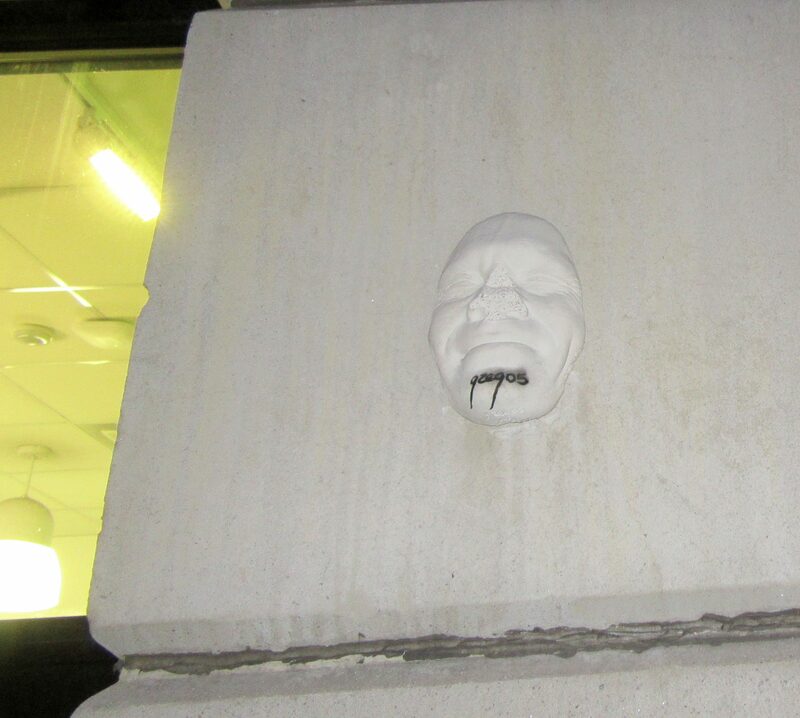 And I spotted this face on the southern facade of a build on Second Avenue between 7th Street and St Mark’s Place. There is no protruding tongue on this one either, but the expression seems to be a bit grouchier than the others! 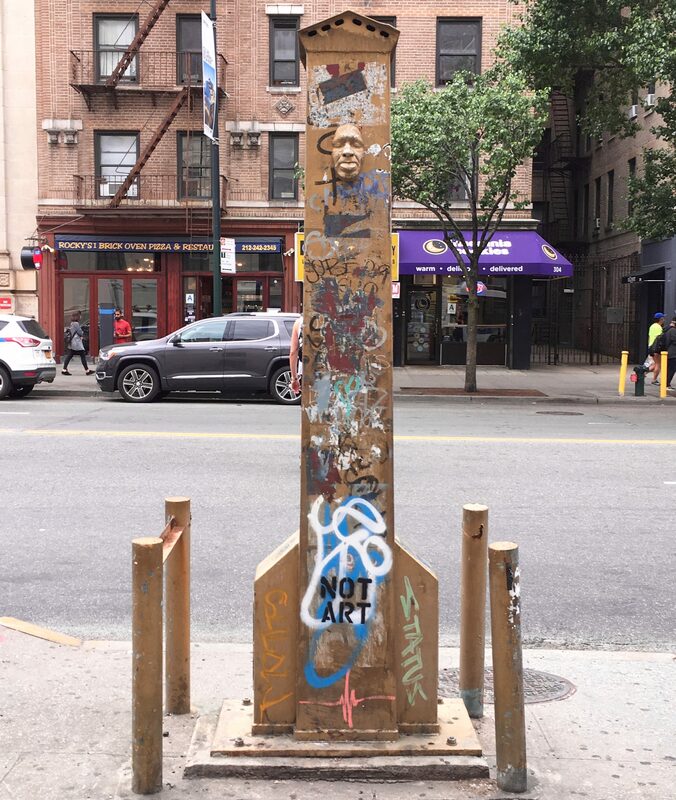 Have you seen these faces anywhere else? Please leave the location in the comments!